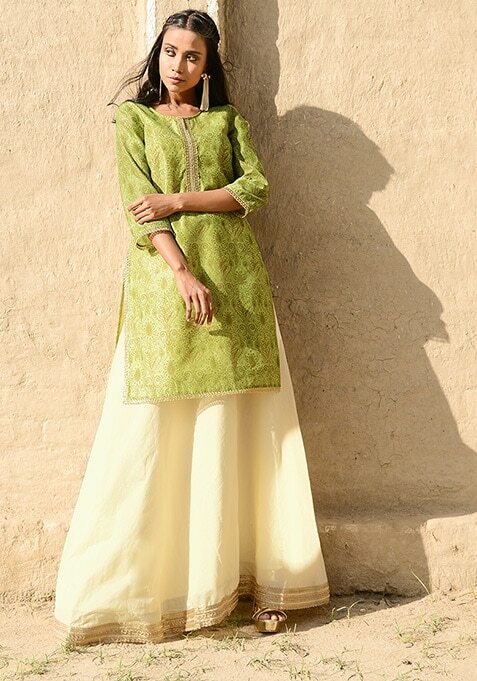 Make your traditional wear wardrobe more interesting with the addition of this beautiful green kurti. Featuring botanical print all over, this kurti has three quarter sleeves and a round neck. Work It: This kurti makes a perfect combo with ivory palazzo pants and comfy flats.